Australian High Commissioner Bryce Hutchesson hosted a lunch at Australia House on 10 November to celebrate the longstanding education links between Australia and Sri Lanka, particularly through provision of Australian Government-funded scholarships. Students from the early days of the Colombo Plan who had travelled to study in Australia joined more recent scholars of the Australia Awards program, including one new awardee who will commence studies in Australia in January 2017. Colombo Plan President Ambassador Chang Won-Sam of the Republic of Korea and Colombo Plan Secretariat Senior Program Of ficer Dr. Thomas Scaria, representing the Colombo Plan Secretary General, also attended the lunch. 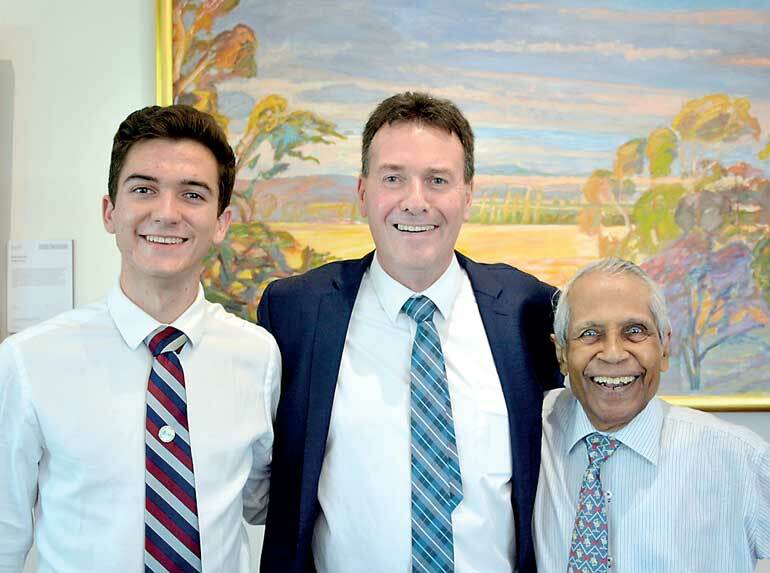 Australia’s inaugural New Colombo Plan scholar to Sri Lanka, Sam Coggins, was at the lunch too, representing the growing number of Australian students visiting Sri Lanka to expand their educational horizons and build further on people-to-people links between the two countries. High Commissioner Hutchesson made special mention of the important role of the Colombo Plan over the years in fostering regional education exchanges. He said, “The legacy of the Colombo Plan’s work dating back to the 1950s cannot be overstated. It has helped greatly to enhance the economic and social development of its member countries. And it is this legacy that has helped to inspire the Australian Government’s own bilateral efforts, through initiatives such as the Australia Awards and, most recently, the separate New Colombo Plan.” Hutchesson added that it was pleasing to see so many Colombo Plan member countries continuing to benefit from Australia Awards scholarships and from participation in Australia’s New Colombo Plan initiative. The New Colombo Plan is a flagship Australian Government program, and has seen more than 10,000 Australian students live, study and work overseas in just the first three years of the program. More than 100 of these have been in Sri Lanka over the last two years, with many more to come.